So y’all know I am a pharmacist and even though this blog is a way of me escaping the 99.9% seriousness of pharmacy and the health world, I have decided to sometimes chip in some health tips. Don’t worry it might just be once in 6 months and I would try to make the post less boring and not filled with medical jargons. I would just repost articles I see that might be helpful to you all. So today due to the fact that I have been reading a lot on anemia (that is my next presentation topic), I was reminded on the need for child bearing women to take folic acid before and during pregnancy. I remember my mum always insisting I take folic acid tablets (not like I listened) but now I have been reminded again I would try to take it. The key word is ‘try’ because even though I am a pharmacist it is hard for me to take drugs. So here is the article or rather part of the article culled from www.webmd.com on the importance of folic acid before and during pregnancy. And for the guys who feel this is not important to them, if you are going to have kids someday I advise you to just spare a few minutes and read the article. I can bet you that you would learn something new. If you are a woman who could get pregnant, experts recommend taking a daily vitamin to make sure you get enough folic acid. 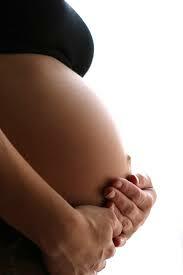 For folic acid to help, you need to take it every day, starting before you become pregnant. You can google on spina bifida to learn more. And the amazing part of folic acid supplement is that the locally produced one (I ain’t saying that you get the imported brands which most of the time contain 400mcg) is a small tablet and contain 5000mcg i.e. 5mg of folic acid which is above the required daily amount for those that are of child bearing age (which is 400mcg) and is the required daily amount for pregnant women whose daily requirement for folic acid and iron is increased during pregnancy. Which reminds me, please, please and please pregnant women endeavor to take an iron supplement daily to prevent anemia in pregnancy (recently saw a woman that has heart failure due to anemia in pregnancy). Yes folks! It is that serious! Pregnancy ain’t no joke so be serious! Eat right, exercise right and take your right medications and by God’s grace, you and your offspring (s) would be fine. Whew!! That was not bad at all. Not too pharmacy at all. Hopefully I would find articles on topics that are easy to understand and help you folks leave a healthier life. I am thinking of talking about sickle cell anemia/sickle cell trait, cervical cancer and the importance of pap smear, breast examination and breast cancer, erectile dysfunction, depression in young people, HIV and prevention. These are heavy topics, i don’t know how it can be simplified but I would try to see what I can do. So did you guys enjoy today’s post? I did but this ain’t about me, it is about you. Please leave a comment below about how you feel about my idea of a health post once in a while. If you liked it, if you want it to continue, topics I could write on to the best of my knowledge, anything you feel just write it and I would see what I can do.